Several years ago the Cypress Bay Golf Course, one of the oldest on the Grand Strand, was closed and the land was sold to developers. 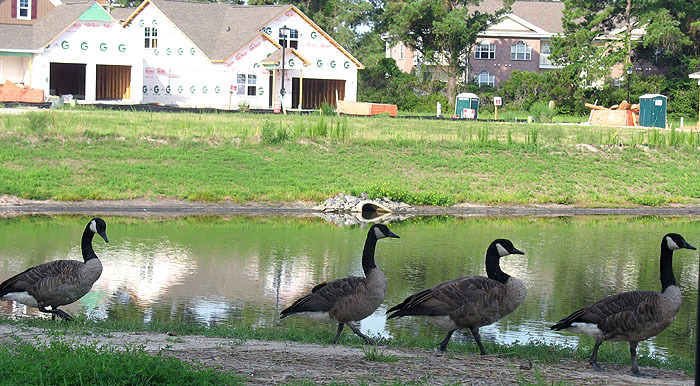 In its place, the master-planned community of Cypress Village is now being developed. Gone are the beautiful views of lush greens that surrounded the Cypress Bay and the Gardens at Cypress condo complexes. A stand of trees now separates the condos from the exquisite new homes being built in the new master-planned community of Cypress Village. Soon, the community will be professionally landscaped and the condos will, once again. enjoy scenic views from their back porches. Mungo Homes is building the elegant new homes here. Mungo homes are “hausSmart certified” to be energy efficient using the most innovative construction techniques. Designed to make your life easier, you will love features like radiant barrier roof sheathing, air barriers and sealing, attic insulation, tankless water heaters, and efficient HVAC systems. The average new home has a HERS rating of about 100. The lower the number the more cost saving and efficient the home is. Mungo homes rate about 70. A beautiful refreshing lake in the center of the development has a flock of geese in residence and will be well-stocked. Jensen - two-story with 3 bedrooms, 2483 sq. ft. and priced at $260,800 - formal dining room. 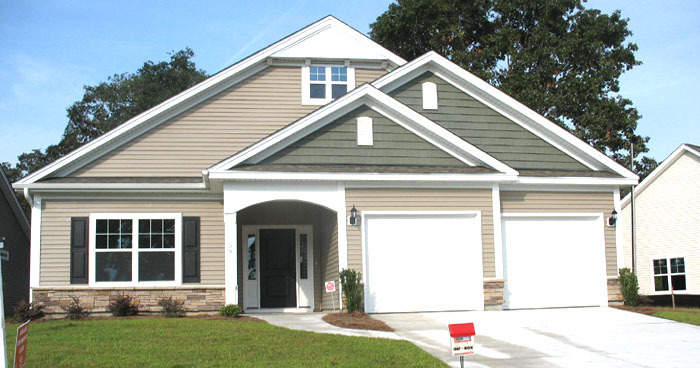 Fairchild - one-story with 3 bedrooms, 2042 sq. ft. and priced at $249,900 - formal dining room. Edgewood - split-level with 3 bedrooms, 1910 sq. ft. and priced at $233,840. Other floor plans include the Bloomfield, Hartford, Allerton, Edison, Fullerton, and Westbury, with prices starting at $205,000 to $242,000. This is the perfect time to buy a home in Cypress Village while prices are low and the community is in the development stage. Once landscaping is done and the amenities center is completed the value will increase on these properties. Little River has low county-only taxes and the town is growing. Just a few miles from Cherry Grove Beach and the Grand Strand, traffic is light. There are several nearby marinas for boaters. The Little River waterfront has some of the area’s best restaurants and a casino boat. More 5-star restaurants are located a short drive away in Calabash.. 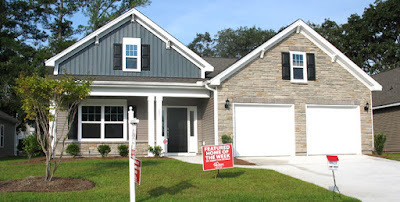 There are some model homes to tour or move into right now. Call our real estate experts today to schedule a private tour and see all Cypress Village has to offer. If you would like to know more about other new homes for sale in Myrtle Beach, visit our website. We’re here to answer your questions.